SECOND ANNUAL MOONLIGHT WALK ON DE ANZA TRAIL!!! R.E.A.C.H. San Benito Parks Foundation and BenitoLink are collaborating again on the second annual Moonlight Walk on de Anza Trail, March 19, at 5:30pm. We recommend arriving that early to start your walk up the hill, arriving near the second bench (maybe 2 miles) as the moon rises and the sun sets. Actually the moonrise and sunset are nearly simultaneous on Wednesday, the 20th, with a full moon, but is more family friendly on the 19th, just in case you wondered! Below is information from MoonInfo.org, where you can go to get the Moon Phase and Sun Phase when heading out on any adventure. You may remember how fun it was if you were there last April, 28, 2018. Leslie David, BenitoLink.com, came with BL Board member, Karminder Brown, to support this really wonderful experience on the first recreation trail in San Benito County. The R.E.A.C.H. Board and friends supported the staging, parking and grooming of the area, while Jim Ostdick gave Moon Phase information to families arriving up the trail. Don Chapin Co and Tom’s Septic groomed the ‘comfort station’, and the retired NPS Sleznick family stood at the ready to open gates for emergencies. The conversion from abandoned road to rec trail was spearheaded by retired Supervisor Richard Place, in 1996 and finalized in 1998. The National Park Service then entered into agreement with the County (1999) to place Juan Bautista de Anza National Historic Trail interpretive signage, information and markers on the Trail to designate its significance. 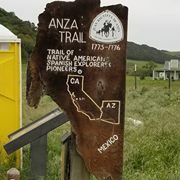 Historians document the actual Anza expedition heading toward the San Juan Canyon before reaching the steep slopes that were excavated for the Old Stage Road. We all now call it Anza Trail, loving every inch of its free and exhilarating space! Reminder! Wear warm layers of clothing, carry no flashlights unless red light, and bring your water bottle! We’ll have a few snacks on hand and emergency water and Band-Aids. R.E.A.C.H. members will station themselves along the trail to give assistance. Leave no trash, and respect the neighboring land owners and livestock. 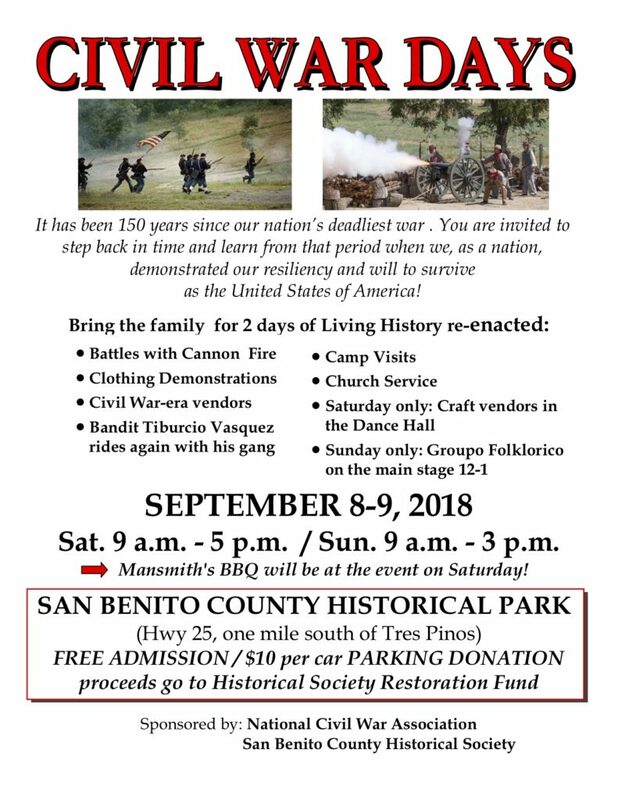 Check the REACH San Benito Parks Foundation FB page and BenitoLink if the weather seems ominous. Don't miss out on current or future events, sign up for our newsletter. Four years ago, REI, the nation’s leading outdoors outfitter, challenged the retail trend by launching #optoutside by closing all of its stores and urging people to drop their shopping bags in exchange for better health and appreciation of the natural resources near them. REACH is supporting that move with a low-key walk through the San Benito County Historical Park geared toward getting started in birding. The walk is on easy, graded trails, and will cover about one mile. It gets started at 9 a.m., and participants can expect to end no later than noon. Participants should wear comfortable shoes, pack water, wear layers and bring along any binoculars they may have available. Anyone who wishes to bring along lunch is welcome to linger for a chat afterwards. Watch a short clip from the September 23rd "Un Paseo Pequeño en Bicicleta/ A Little Bicycle Ride" here..
Un Paseo Pequeño en Bicicleta/ A Little Bicycle Ride Participants! R.E.A.C.H. lead a walk a month. Un Pequeno Paseo targeted walks of about an hour in length, more or less. Some walks were more structured some loosie-goosie. May is Bike Month and the CalBike team is already blown away by the first-time riders committing to try a new commute, as well as the scores of rides, parties, and other events organized by our local partners across the state. Better Lives Through Giving. 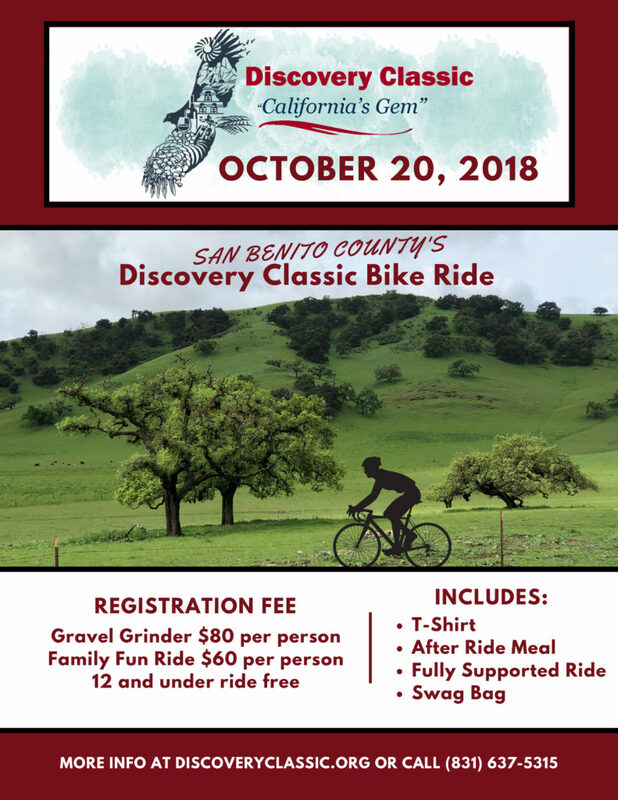 The goal of San Benito GIVES is to raise $100,000, provide a new platform of giving, and build a stronger network between nonprofit organizations, donors, and San Benito County residents. 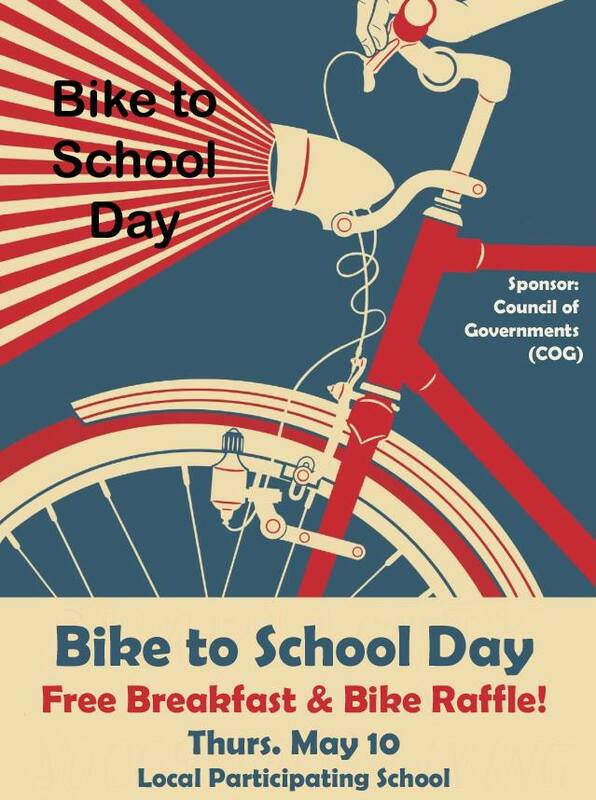 For the past 27 years, during the second week in May, the Council of San Benito County Governments (COG) sponsors the annual Bike to School Day festivities. Communities across the country celebrate Walk to School Day to give visibility to the importance of safer and improved streets, healthier habits, and less traffic — one community at a time. *CONTACT your school for participation and time of event. MOONLIGHT WALK ON THE DE ANZA TRAIL!!!! As the Moon appeared, the glow of sunset created a gorgeous effect! See other pictures posted on our FB page and website from happy walkers. It was cold, but wonderful THANK YOU TO ALL WHO CAME, HELPED AND VOLUNTEERED! BenitoLink's Leslie David did a great job supporting the effort, and creating a bond between R.E.A.C.H. and BenitoLink, as partners in the parks, trails & paths promotion in San Benito County ! BenitoLink's hosting of Jim Ostdick's articles, "Walking San Benito", has increased possibilities for finding open spaces to recreate! R.E.A.C.H. is grateful for the partnership in this event. 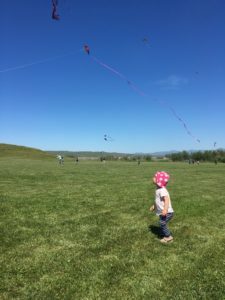 The San Juan Bautista Kite Festival, held on Saturday, April 21, 2018, created a wonderful atmosphere for joyful activity at the San Juan Soccer Field. The audience was limited due to the half-dozen other activities around town, but the outcome showed great promise for next year, which Jeffery Richardson has committed to. 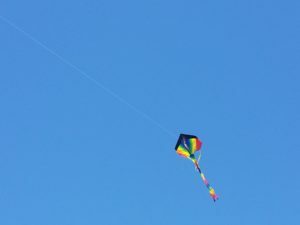 The pictures taken by Chris Perez show the light-hearted sense of wellbeing generated by this delightful activity, just watching a kite fly. 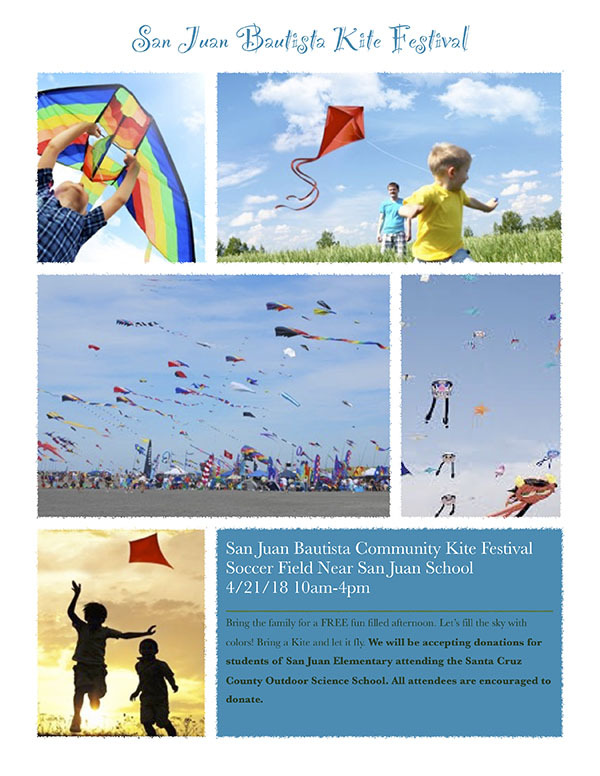 Kite building kits were available, and donations were accepted for the benefit of the San Juan Grammar School students going to Science Camp this year.